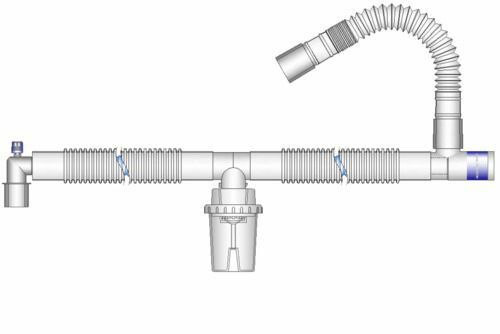 Nexus Coaxial Breathing Circuit has an unlined design which removes clutter from the anaesthesia field. The blue or green corrugated inner tubing allows for easy visualisation of the systems integrity. Colour coding of the circuits is also available in sizing to improve efficiency. 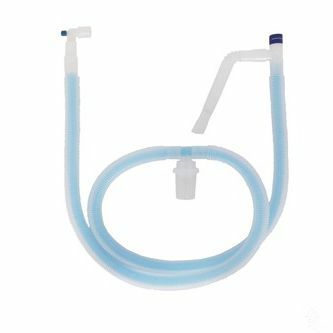 The inspiratory tube becomes surrounded by the patient's warm exhaled breath, creating a thermal wrap around the inspiratory tube which increases the temperature and humidity of inspired gases. The bonded inspiratory limb prevent disconnects at the patient end, unintentional increases in dead space, and mixing of inhaled and exhaled gases.